Today, many homeowners considering a floor covering decision are looking at hard surface flooring like tile, laminates or hardwoods instead of traditional carpeting. 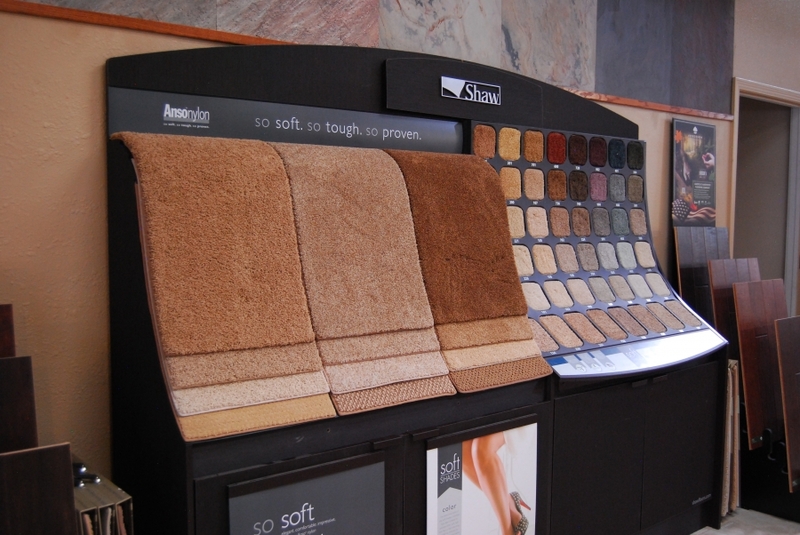 Floor covering choices rise and fall, and currently, the industry is seeing more interest in the hard surfaces—but do consider the advantages of carpet before making your final decision. 1. Carpet is warm and comfortable. In our high mountain desert, winters get cold. Carpet is a much warmer floor covering than other options. Even if your home has radiant floor heat, when a cold snap arrives, it may take a day or two to warm the tile. Carpet will always feel warmer, and it’s soft and cushiony under your feet. It also absorbs sound much better than tile or wood floors. 2. Babies love carpet. If your home will have babies and toddlers, carpet is a great option. It allows youngsters who fall to land on a soft surface and protect the knees and toes of babies learning to crawl. Carpet may also give seniors a more stable surface, depending on the carpet’s height; tile or wood floors are more likely to also be slippery for the elderly. 3. Carpet won’t scratch or chip. Some tile floor coverings can chip or scratch over time; hardwoods or laminates can scratch or need to be refinished. Often, these hard surface floor options need to have pads placed under rugs to prevent slipping, and casters under the legs of furniture to prevent scratching. While carpet can get small divots from the weight of furniture legs, those compacted fibers can usually be refreshed by letting an ice cube melt in that spot, then using a small brush to fluff the fibers back up. 4. Carpet can be Green. If you’re environmentally aware, you might be considering wood flooring made from renewable resources like bamboo. But there are also carpets being manufactured today that are “green”. Carpets are available in natural fibers or can be made from recycled nylon or even recycled plastic water bottles. Some carpets are available that do not give off volatile organic compounds (VOCs). 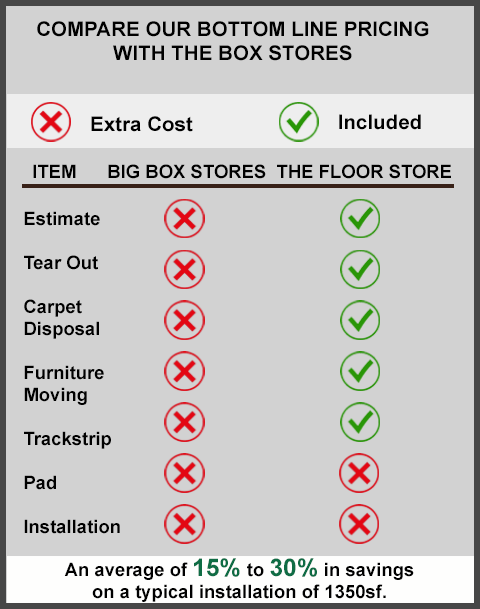 At The Floor Store, we’ll help you sort through the factors that matter most to your family and your home. Whether you choose carpet, tile, hardwood or laminate, or the new luxury vinyl plank flooring that looks like wood, we offer thousands of choices for your home.